The CEMS Masters in International Management programme has been placed 9th in this year’s „Masters in Management Ranking 2018″, maintaining its place in the top 10 every year since the rankings began in 2005. The CEMS programme is run through a partnership of 31 leading business universities across five continents. In April 2018 the University of Economics, Prague (VŠE) celebrated its 20 years as a member of the CEMS Alliance. At the Faculty of Business Administration, it is taught as part of a two-year English programme Master in International Management, which by itself has been placed 22nd this year. Established in December 1988 by four leading European business schools (Spanish ESADE Business School, French HEC Paris, Italian Università Bocconi and German University of Cologne), the CEMS Alliance designed the first truly European business education through one single master’s degree. Today, CEMS has grown to become a global programme, gathering more than 1 000 students from over 65 countries each year and over 13 000 alumni worldwide. The admission procedure at VŠE consists of 2 intakes. The 1st intake deadline is on February 28, 2019, selected students will pass the assessment centre. The 2nd intake is subject to available spots, deadline is on April 30, 2019. Students have to submit required documents before the application deadline. 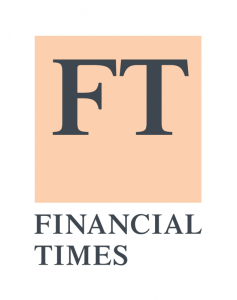 Financial Times global Master in Management Ranking 2018 can be found here.